This tour takes you to places that are off of the normal tourist route, and can start from your hotel in Cusco, the Sacred Valley or Ollantaytambo. Our goal is to show you how locals live and work their land. 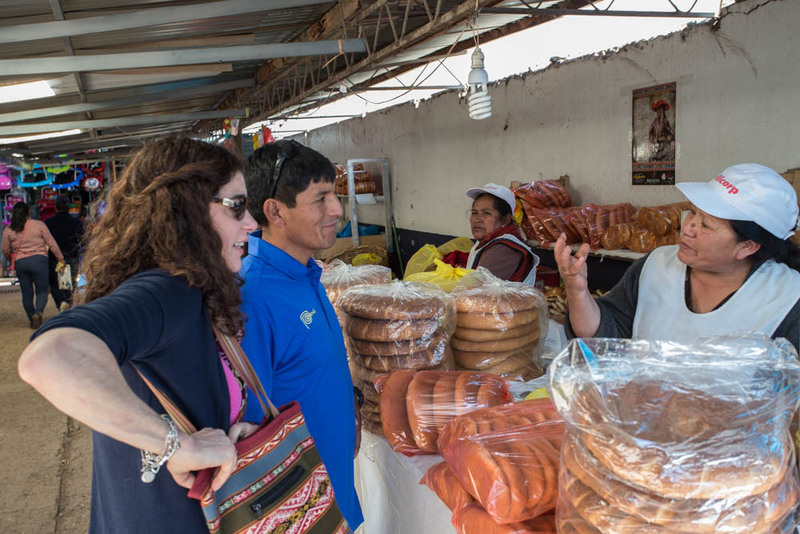 Highlights of the day include a visit to a bustling local market in Urubamba where we will taste some of the many fruits and vegetables in the Sacred Valley and learn about the ingredients needed to make chicha, a corn beer that has been an important part of Peruvian culture since Inca times. We will start the tour by visiting the workshop and gallery of an amazing local potter, Pablo Seminario, where you can observe artisans at work and have the chance to buy beautiful ceramics. We will then drive 20 minutes to visit a farm in the Sacred Valley where we will tour the farm lands, cut alfafa to feed the guinea pigs, and see first hand how chicha is made. This will be followed by a picnic lunch, which will be eaten outside overlooking the Sacred Valley. We will also visit a local chicheria to taste chicha play Sapo, a traditional Inca game. Finally, we will finish with a trip to the amazing Inca town of Ollantaytambo and with a guided tour of the ruins there. This was the home of the Inca emperor Pachacutec and later served as a military checkpoint for the Incas trying to protect the roads to Machu Picchu from the invading Spaniards. Enjoy a guided tour of the terraced ruins, fountains and aqueducts and see storage houses that were used by the Incas to maximize winds to keep crops cool and preserved. We will then have time to wander the streets of one of the oldest towns in Peru, where many 15th century Inca buildings still stand today. Private transport, lunch, & Chicha.